Better than New! 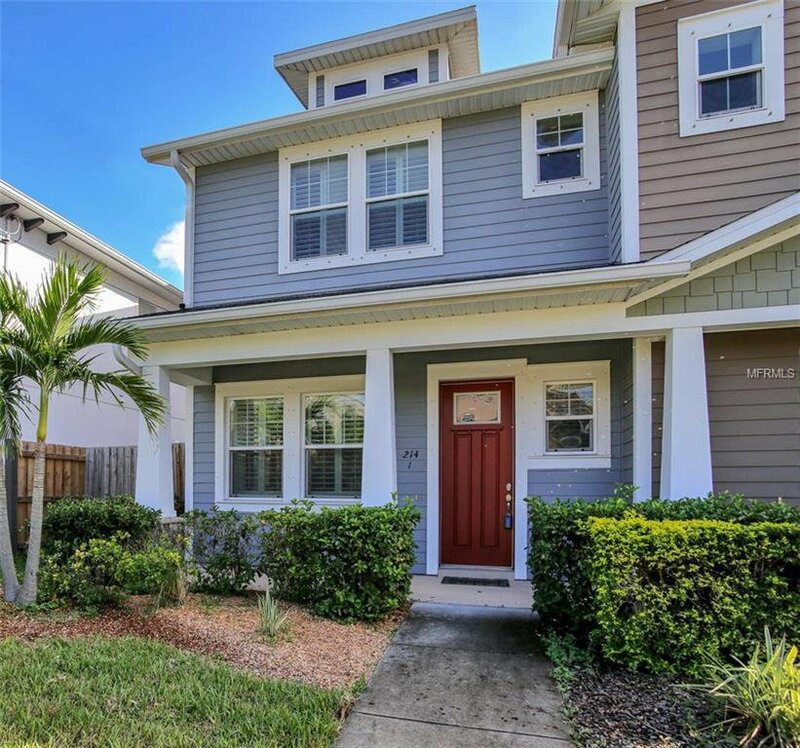 This immaculate 3 bedroom townhome is ideally located in the Soho part of South Tampa. Walk to local restaurants and bars. Only minutes to downtown Tampa or Bayshore Blvd. Quality abounds in this David Weekly Built home. Beautiful wood flooring sets off the entryway. Upfront, the ideal office or den faces Westland Ave. Your gourmet kitchen features an abundance of Mahogany cabinetry with upgraded granite countertops, stainless appliances and a custom backsplash. Chef's will love the gas GE range! The island offers comfortable seating for four and has lovely pendant lighting. The walk-in pantry is a big plus. Your half bath is right off the kitchen. The open concept allows room for a dining table and flows into the living room. Through the sliding doors, the covered lanai is ideal for entertaining. You also have a fully fenced yard big enough for the pets. The rear entry double car garage is a rare find! Upstairs the master retreat features a trey ceiling and crown moldings. The master bath has extra cabinets and counter space so two can ready at the same time. Bedrooms 2 and 3 share a full bath with shower/tub combo. Laundry is upstairs. Builder warranty. Call today! Listing courtesy of EXP REALTY LLC. Selling Office: CHARLES RUTENBERG REALTY INC.